Put Your House Washing on a Schedule! 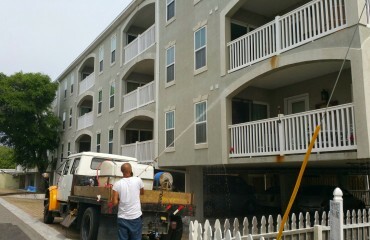 We often get the question of how often homeowners should power wash their house. The frequency of pressure washing your home depends on whether your house has mildew beginning to grow. 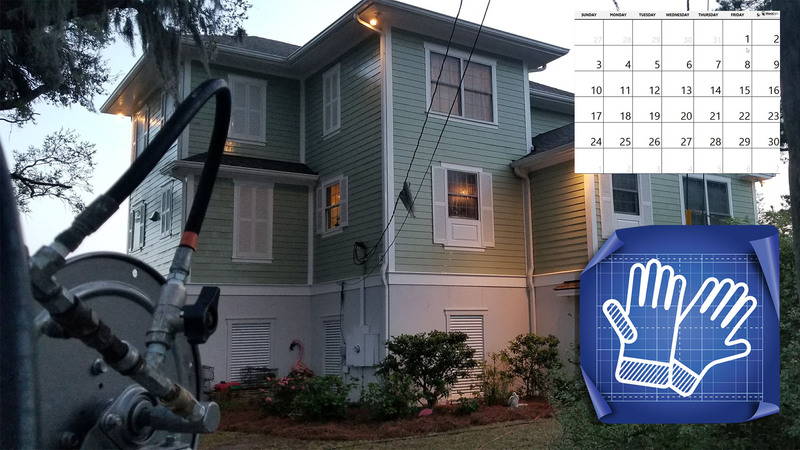 Pressure Washing – Savannah, GA recommends cleaning the exterior of your house at least once per year. Lots of other factors play into how frequent you need to clean the exterior of your home. Get the exterior of your home cleaned once a year or when you notice the organic growth on the exterior. 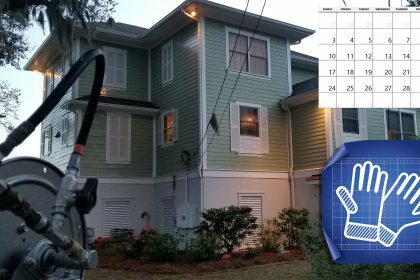 The first sign that you need to schedule your pressure washing is when you notice organic growth growing of the exterior of your home. Why will Hiring a Professional Pressure Cleaning company save you MONEY! Most and I say again most professional pressure cleaning companies use chemicals to completely kill the organic growth growing on the exterior of your house. This completely makes the organic growth have to completely start its growing process over from the beginning. When you hire some pressure cleaning companies who only use high pressure they are not killing the growth just blasting off the visible layer which can cause lots of damage as written in our article on hiring a professional pressure cleaning company.